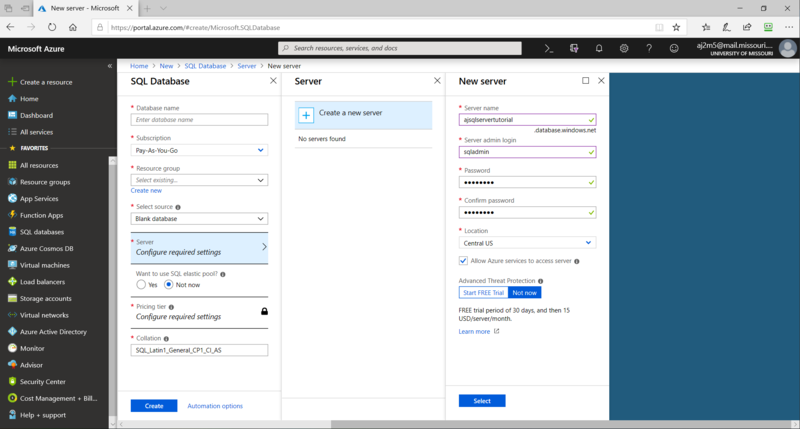 Using Azure, you can create a SQL Database in just a few seconds without having to worry about setting up the infrastructure or any related software. 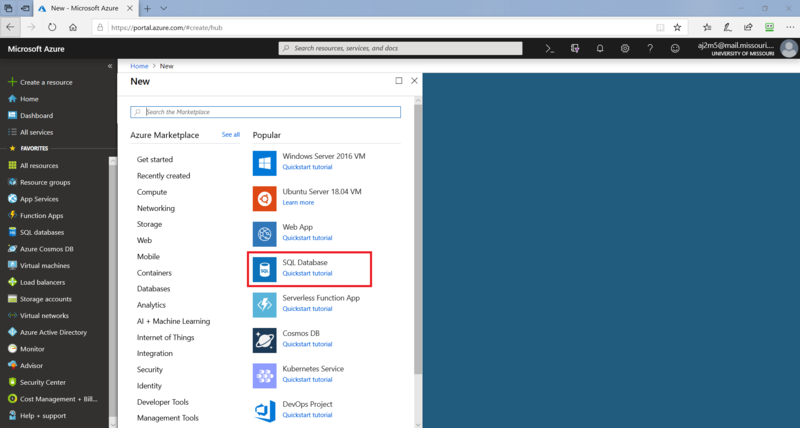 Additionally, Azure SQL databases allow you to connect using your preferred operating system, and programming language such as ADO.NET, Java, PHP, Node.js, Python, and Ruby. The portal will provide you with a screen to enter details regarding the database to be created. 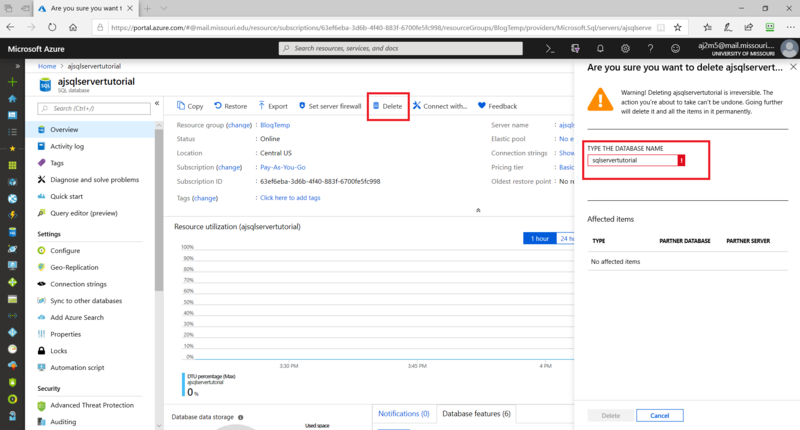 Select a source for the database – blank database, sample data set from Microsoft (good old AdventureWorks), or backup that you may have created previously. Select Server and create a new server. Select a location for your server to be hosted. This can be based on where the majority of your transactions are going to be from. Finally, select a Pricing tier for the database. Pricing is based on how many DTUs you expect your database to use. 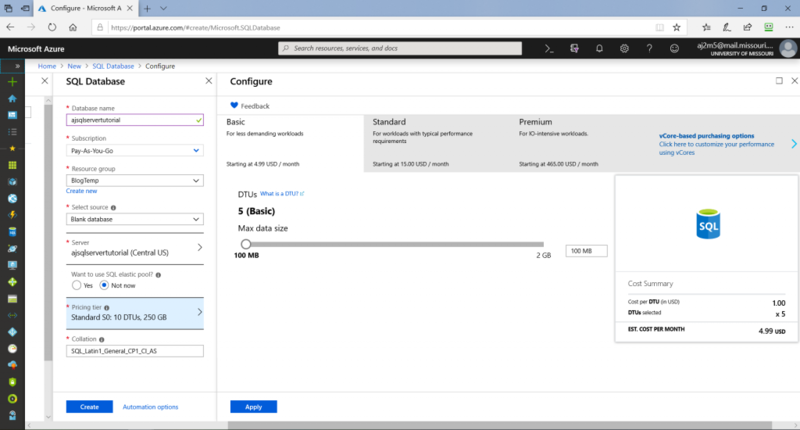 DTU stands for Database Transaction Unit, compute sizes for Azure databases are expressed in terms of DTUs for single databases and elasticDTUs (eDTUs) for elastic pools. To read more about DTU based Service Tiers read this. Database collation defines the rules that sort and compare data. Collations provide the locale, code page, sort order and character sensitivity rules for character-based type data. 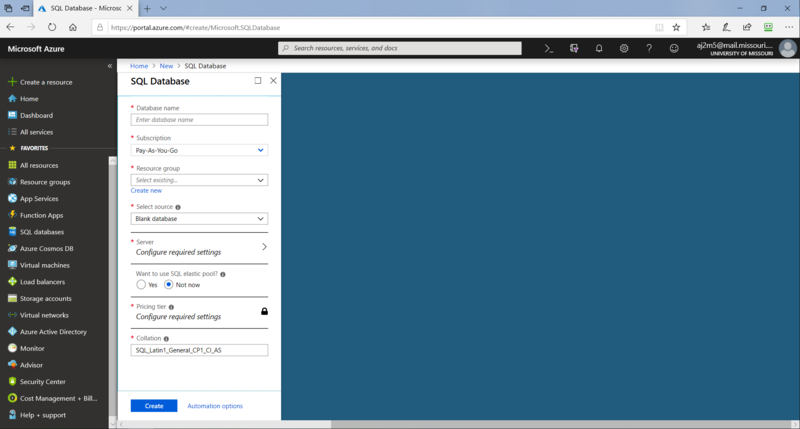 Azure currently supports 3800 database collations. 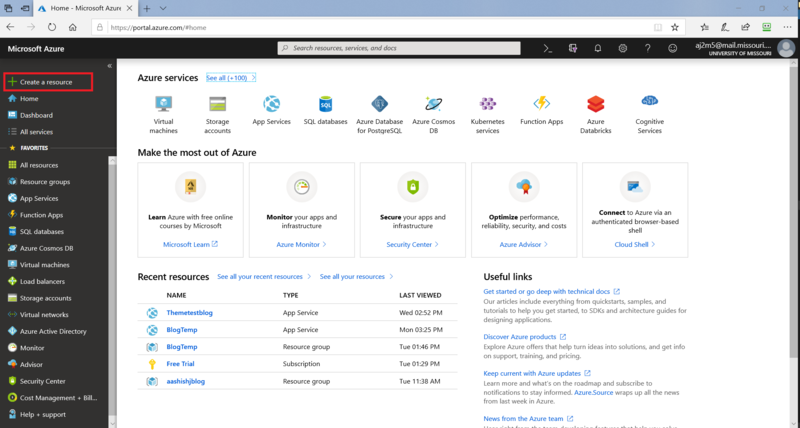 Azure will start working on the deployment. You can click on ‘Go to Resource’ option within the notification to open the SQL database instance you just created. 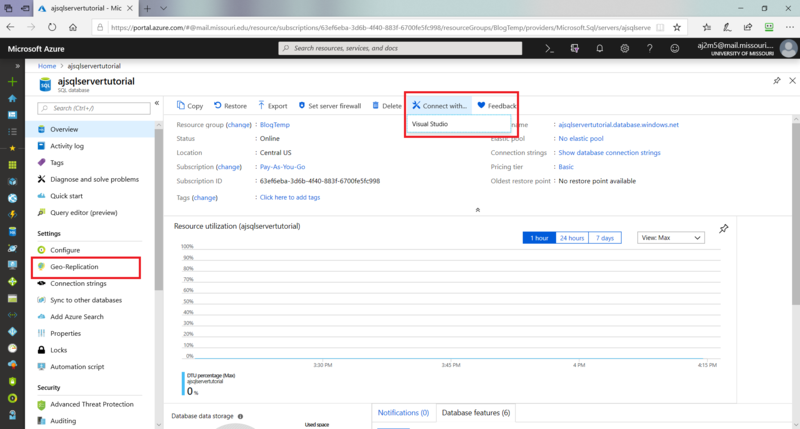 Connect with Visual Studio: You can click on this option and open the database in your local Visual Studio to work on it. Geo-Replication: You can use this option to replicate your database across geographical locations if you have users accessing the database from multiple countries. You can also delete the database you previously created from this screen by clicking on the ‘Delete’ option.